"BUMNS provides an early childhood learning experience in a nurturing environment. Our aim is for children to feel a sense of self-esteem, enthusiasm for learning and positive feelings towards classmates and teachers. BUMNS favors the 'whole child approach.' 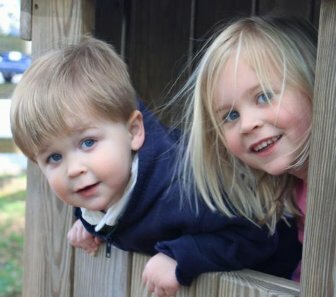 We address the physical, social, emotional and cognitive needs of young children through play and other learning experiences. The curriculum is thematically oriented with projects encompassing each theme." The 5-Day children are encouraged to reach higher levels. Independent thinking, decision-making and problem solving are taught in the Game Room. Circle time activities include learning and recognizing the days of the week, discussing seasons and the weather, literature and a special sharing time where each child speaks in front of the class about a favorite item or person. Small motor skills are further developed through art projects involving cutting, gluing and painting. The children are encouraged to write their name using correct hand position. Weekly lessons include the study of the alphabet. Literature and art projects focus on the "letter of the week." A favorite among the 5-Day children is the Alphabet Book that is created during the year. Math is learned through science, art and manipulatives. The 4-Day class fosters independence and intellectual growth through social play and the introduction of pre-math and pre-reading activities. Imagination is engaged through literature, dramatic play, and arts and crafts. The class helps children develop a sense of who they are and the "give and take" of being a part of a group. Work and play habits are established through gentle guidelines and encouragement that help children follow directions, persist at a task, share with others and make positive choices. The Game Room provides an opportunity for the children to learn about classifying, sorting, predicting, solving and analyzing results. The 3-Day curriculum further develops the child's sense of independence. The children are encouraged to participate in individual, parallel and cooperative play. The children are encouraged to take turns and use words to express themselves. 3-Day circle time encourages the sense of belonging as well as the use of language. Introduction to literature expands the child's imagination and world. The younger 3-Day children are introduced to shapes and colors in the world around them. The older 3-Day children continue these skills, but add additional shapes, alphabet recognition, and manipulatives that enhance pre-math development. Art activities focus on creative development through the use of various media. Our youngest children learn language skills, cooperation, sharing, taking turns and most importantly working in a group. Routine is a key to the young child's success. Our curriculum teaches children learning skills through social play, art, music and literature. A young child's success in school is measured in their feeling of self-worth. The 2-Day children learn to sort and classify colors and shapes. Puzzles and manipulative games help strengthen small motor development. Teddy Bear Bingo is a favorite game. The curriculum is thematically oriented with projects encompassing each special theme. The Kids in Motion class encourages the development of small and large motor skills. The skills taught may include hopping, jumping forward, catching a ball, skipping and balancing on one foot. KIM provides the children an organized way to utilize their physical skills. Playing games in KIM teaches the children important social skills, such as sharing and taking turns. 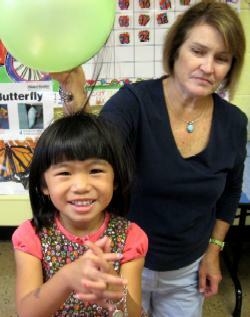 Preschoolers learn to cooperate and interact during play. The parachute, scooters, and relay races are some of the favorite activities. Each age group attends KIM class once a week. Our Music program engages preschoolers in activities that explore the expressive qualities of music through singing, moving, creating and listening. Our program fosters the development of fine motor skills and coordination. The music room is filled with the "tools" necessary to participate in and create music. Drums, eggs, xylophones, rainsticks are only a few of the instruments available to the children. 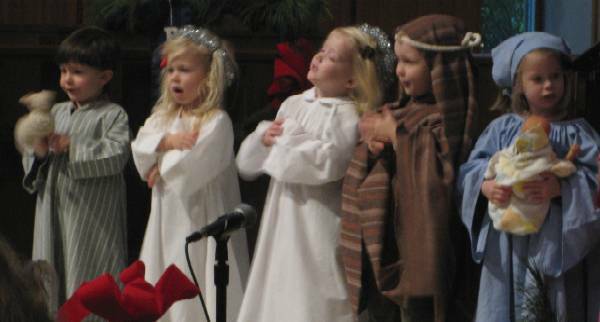 The songs taught are directly tied to each class's weekly curriculum and seasonal holidays. 2-Day and 3-Day classes attend music twice a week. The 5-Day children attend music four times a week. In December, the children's music instruction culminates into a Holiday Show presented to family and friends. Every child participates in the show. The show introduces our children to the art of performance. All but the youngest children visit the Game Room. Here the children develop pre-reading and pre-math skills in a 'soft-structure' learning environment. The children learn problem solving, independent thinking, and organizational and cooperative skills. Parquetry, story sequencing and manipulative games provide an opportunity for the child to learn about classifying, sorting, predicting, and problem solving. The 5-day children are assigned higher-level games as they progress in the Game Room. The teacher notes successfully completed tasks. Parent volunteers assist the teacher by helping to check each child's progress. Lunch n' Play is an extended day program offered to children who are toilet-trained. The children can stay until 1pm, 2pm or 3pm. Members of the staff run the program. An hourly fee is charged. Parents provide lunch for the child and send a note with the planned pick-up time. Lunch n' Play affords the opportunity to socialize and make new friends in an unstructured setting. Weather permitting; the children play outdoors after lunch. All Kids Yoga is a fun way for students to learn how to relax and calm their bodies. Students will have fun through games, stories, music and movement. The children get an introduction to quieting the mind and using their breath to control strong emotions which will carry over into their day to day activities. 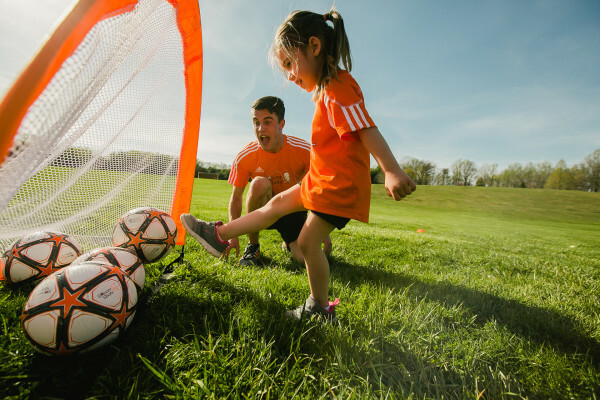 Soccer Shots Classic utilizes creative and imaginative games to focus on basic soccer skills like dribbling, passing and shooting. The coaches highlight a positive character trait each session such as respect, teamwork and appreciation. Children will create various foods using fine motor skills, sensory exploration (listening to a blender, mixing and pounding dough, smelling baking), cooperation, and basic math skills (counting, measuring). A short lesson on proper manners will be introduced. The class is for one hour from 1-2pm and is open to 5-Day children.